LauraBeth is using Smore newsletters to spread the word online. 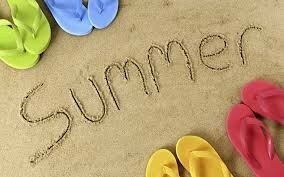 It's Summer and I miss you already! I was blown AWAY by your generous gift to me at the year-end celebration! Honestly, it took me a while to even process it. I am so thankful, and thankful that Brian (without whom I would be a total disaster) gets to enjoy it with me! You are a fabulous group to get to do life, and school, with and I am thankful each and every day for all of you! If you don't already have plans to see this production tonight (7:00) or tomorrow (10:00), I hope you'll be able to make it. Our family caught it last night and it was FABULOUS! The music and choreography are both amazing! And the actors are terrific. It really makes for a fun family night out! Diane Cater does such a wonderful job with these productions. We are blessed as a home school community to have her! Also, don't forget about Marshmelodrama's summer camps. You can access more information about them here. I don't want to go all summer without seeing all of you! So, I'm going to put a few casual things on the Rallyhood calendar. If you have other things that you'd like to do, please feel free to put your own things on there. I'm also going to add the new folks who are joining our community at the Foundations, Essentials, and Challenge levels to this newsletter and to Rallyhood, so they can start getting looped in! Thursday, May 19: 10:00-?? Cedar Access Area Beach. If you aren't familiar with this beach, just hop on Saundersville Rd and drive until you need a boat to keep going! :-) Or Google-it. Either way will work. Kids can swim or play in the sand or at the playground. Bring a picnic if you'd like to stay that long. Bring a chair or a blanket, or both. Easy, casual, fun. Hope to see you there! To go straight to registration for the one in Donelson July 18-20, click here. If you have a conflict, there is also a practicum scheduled at Green Hill Church in Mt. Juliet on June 27-29. If you need to register your children for a camp, register soon! The children's camps fill quickly! 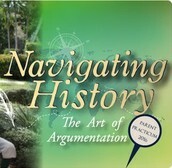 This year’s theme is Navigating History: The Art of Argumentation. 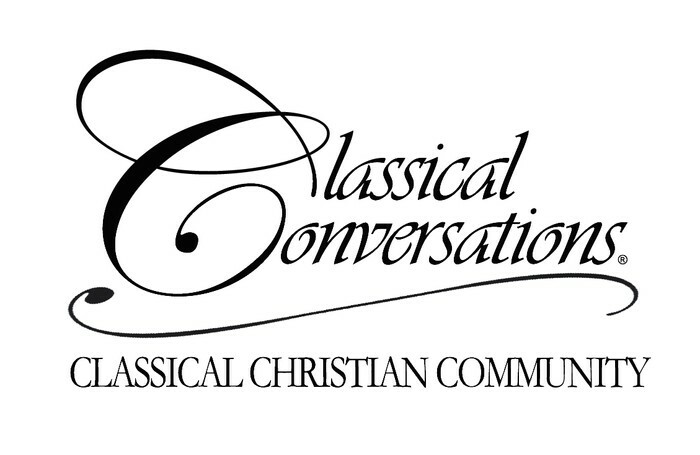 We will be exploring classical education as well as sharing ideas for teaching history and debate to students of all ages.There is more information on CC's practicum website. I think the morning sessions are great. About an hour or so of each is devoted to a general overview of Classical Education and each morning discusses a different level (Grammar, Dialectic, Rhetoric). There's usually a little discussion/demonstration of Foundations/Essentials/Challenge to go with the trivium level we're discussing that day. Another hour will be specifically about this year's topic, and typically each day we'll walk through what that looks like for different levels of the trivium as well. The morning sessions are trying to provide some information to EVERYONE that attends, and because of that, some of it will feel VERY relevant and useful to where to you are in your homeschool journey and some of it will either feel very ahead or behind you. That's just the nature of their trying to provide information to a very mixed crowd of folks. I always get something out of the morning sessions, but some years it's more than others. The afternoon training sessions for Foundations and Essentials tutors, however, are the bomb! I've been to 5 years of Foundations and 2 years of Essentials training and every year I enjoy it and learn a lot more about my role as both a parent, a tutor, and a director. I have OFTEN wished over the years that ALL parents could attend these afternoon sessions, because they truly helped me to understand what the tutor is being asked to do AND what CC expected of me as a parent sitting in the CC classroom. However, they will only allow you to attend these sessions if you are a "contracted" tutor or director. You can also attend if you are contracted to be a substitute tutor. So, here is what I'd like to offer - if you'd like to attend practicum and you're interested in coming to the afternoon Foundations or Essentials tutor training sessions, I'll contract you as a substitute. I'll do that for up to 4 folks for Foundations and 2 for Essentials. I'm NOT saying that you absolutely must be willing to substitute. We have a handful of folks willing to sub in our community already, so while I'm glad to have more, I'm really just interested in getting as many parents as would like to attend those afternoon sessions into them as possible. I think you'll really benefit from them! So, if you're interested in taking me up on my offer, let me know! 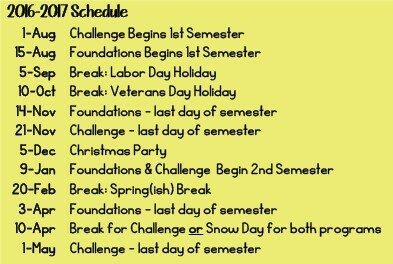 If you're going to be at practicum, I could use some help in a couple of areas, since we are the "hosts" this year. It's simple things, like Registration, so no need to feel intimidated! I'll get more info out about this soon!